I didn't do a film Friday this week because it was Dom's birthday, so instead I am doing a celebrity Saturday, Its Spongebob Squarepants with his tennis racket for Wimbledon. 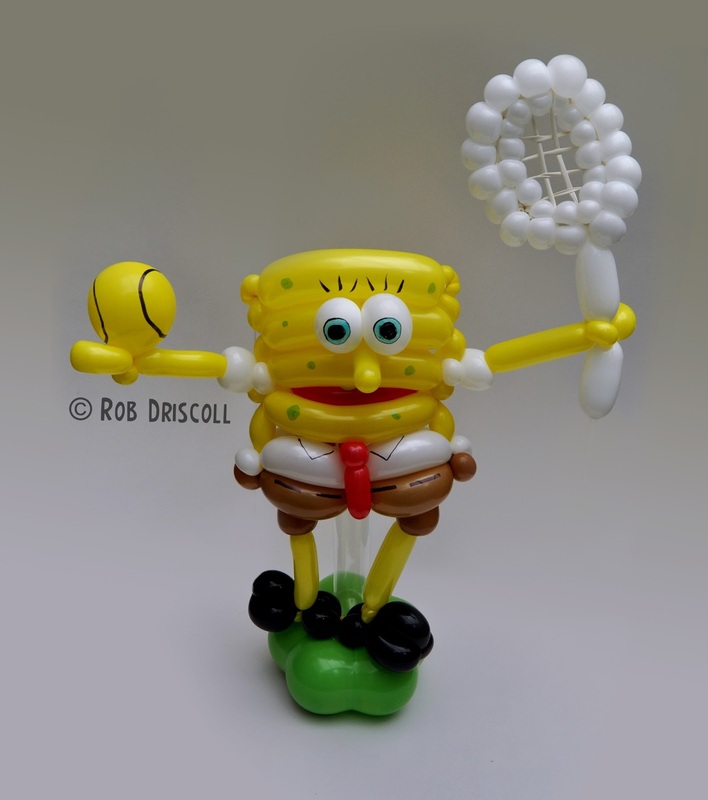 I recently learnt how to make an awesome Spongebob while on a balloon event this week, Robbie Furman had a brilliant and quick Spongebob, I wanted to change a few things and add a few bits so I changed the design a little and came up with this. I think he is made from 16 balloons. You can keep up to date with all the latest news and sculptures by heading over to Facebook -www.facebook.com/mydailyballoon and hitting the 'like' button.